The track is in fair condition with only a few weeds in the outer lanes although all the field-event facilities are in a poor condition. The double-ended PV runway has been grassed over and the HJ area is overgrown. The home straight is 11 lanes wide, the back straight 8 lanes but there are only 7 complete lanes. This was clearly quite an impressive venue in its time with terracing down the length of both straights. 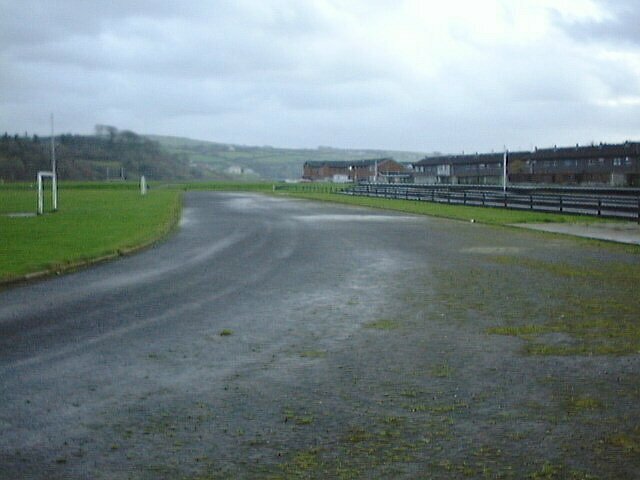 The track is owned by the local council who are at Strabane District Council, 47 Derry Road, STRABANE, BT82 8DY.